Every day Blockchain technology is gaining popularity and is estimated by many companies and organizations as a new and improved type of payment transfer. After all, the main specificity of blockchain transactions is that the information at the time of its transfer is blocked (encrypted) and no one can hack, delete or intercept it. At the same time, the time spent on this kind of transfer is a matter of minutes, which significantly allocates modern technology with respect to traditional methods of transferring funds. This can easily be attributed to the traditional banking system, the system of other centralized payment networks and even international payments acting on the old principles. However, not everything is so easy and simple to implement the new technology was not so easy and fast. I do not argue for 10 years, the blockchain has moved from the category of “no one needs” to the section “interesting and how to use it”?! For this is now being developed a huge number of different projects and ideas, ready to offer us the latest and new solutions for the implementation of this technology in our lives. Moreover, the technology itself is still difficult to imagine as a self-existing unit of payments without any auxiliary elements of the traditional financial system, for example, the same Fiat. 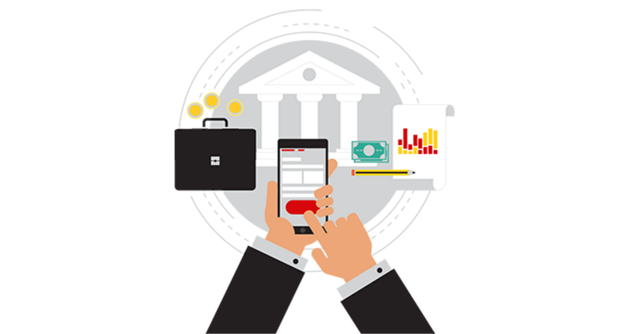 Therefore, a significant role in the development of blockchain solutions is played by the participation of traditional elements of banking systems. The idea of today’s project is no exception. But rather Supplement what already exists in the world. Ladies and gentlemen, I am pleased to present you a new project – KleynBank. KleynBank is a completely new solution for the banking proposal, which includes a strategically powerful tools for the creation and processing of all digital payments and made them reliable and intuitive to use services to both private individuals and business entrepreneurs. That is, KleynBank is ready to offer us a powerful banking system, which includes the main attributes of modern blockchain technology, namely: the speed of transactions, reliability and security of all operations. The Bank itself is an officially registered company that has all the necessary certificates and licenses. As you have already understood, all the actions of the project are aimed at qualitative changes in the existing banking system, through the introduction of decentralized mechanisms through which users around the world will gain access to all the tools and functions of KleynBank. The whole concept of this Bank is aimed only at making users ‘ lives even better, even safer, faster, even easier, and even more technological. 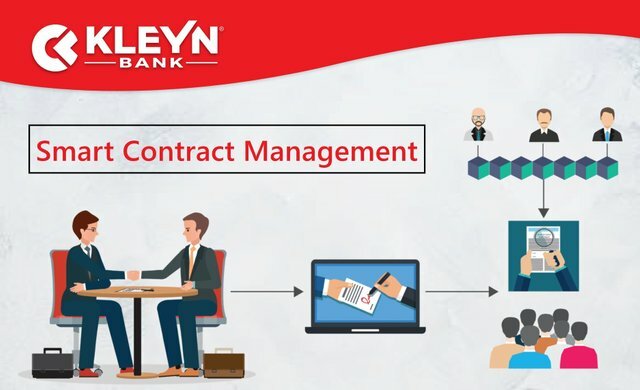 also, KleynBank intends to create ideal conditions for solving any issues with legal organizations, traders, ordinary users and even large investors. That is why the team of specialists developed the KleynBank platform to implement their ideas. And third, KleynBank will not let you spend too much time on the execution of any transaction, whatever values they were not. The system works quickly, reliably, and most importantly safely. Since to confirm any operation you will need to attach your fingerprint. 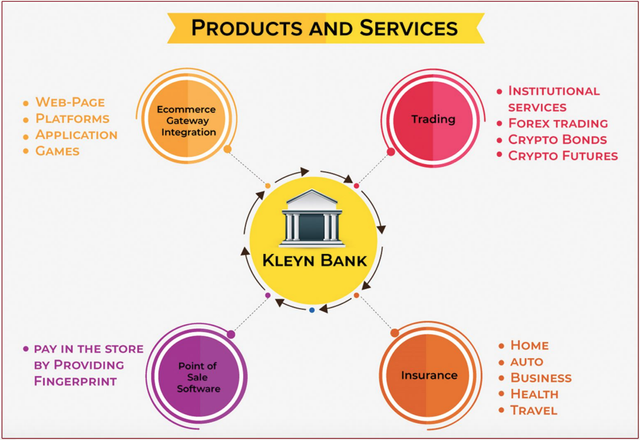 Thus, we can once again make sure that KleynBank has a huge selection of different products and services. Since the project is a kind of hybrid of instruments of the traditional financial system and elements of decentralized technology, I am glad to present you the token of this project, with the help of which, in principle, all the main functions of KleynBank will be carried out. The tokenization of this project will be achieved with the help of the Ethereum blockchain database and its Protocol of the ERC20 standard. The token of this Bank will have an abbreviated name – KLB. The number of units produced will be limited to one billion with an initial cost of 0.05 USD per 1 KLB. In fact, I am pleased to see this kind of projects, because their concept, meaning and idea, although they have a fairly simple message, nevertheless, the project is a well-thought-out and well-developed system. 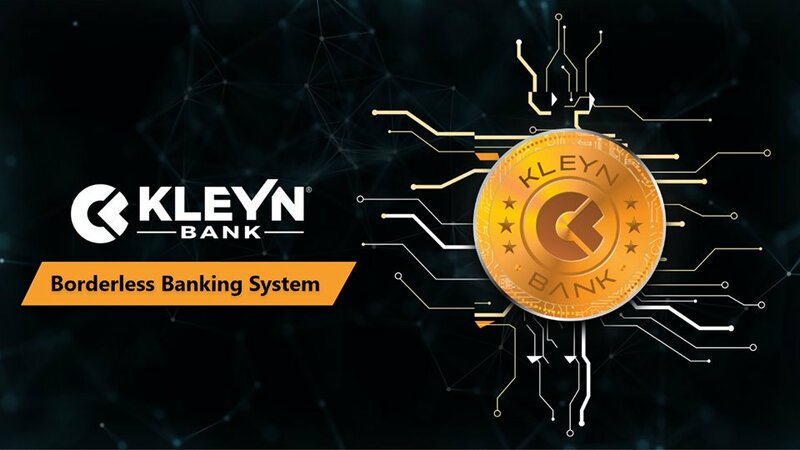 Therefore, I am sure that KleynBank will win the hearts of its audience and will be able to make our world even better. After all, for this he has all the necessary high-performance tools that can be used by absolutely anyone. As they say from small to large. That is, both from a professional and an ordinary user, which is no less important fact of modern projects. But to get acquainted with the project closer, I recommend you to look at the following list of links that are available at the end of my review.